I came home from the grocery store the other day to 1,500 black and gray scrawny looking birds devouring my $7.95 birdseed bell. It was like a scene out of The Birds movie. Tippi Hedren would have been running for cover. I had bought the bell at a specialty bird store for my pretty Cardinals, my delightful Blue Jays and my friendly Woodpeckers. It had mealworms and other bugs in it and was a special treat for my loyal and trustworthy bird friends who make winter in Ohio just a little more bearable. These rogue scrawny yahoos were not my friends. The bell was gone within a few minutes. $7.95 down the drain just like that. So I decide to make my own bird feeder, hoping it would be less expensive (it was) and would’t attract the wrong crowd (I haven’t seen the ugly birds try to fly off with it in their mouths so far). 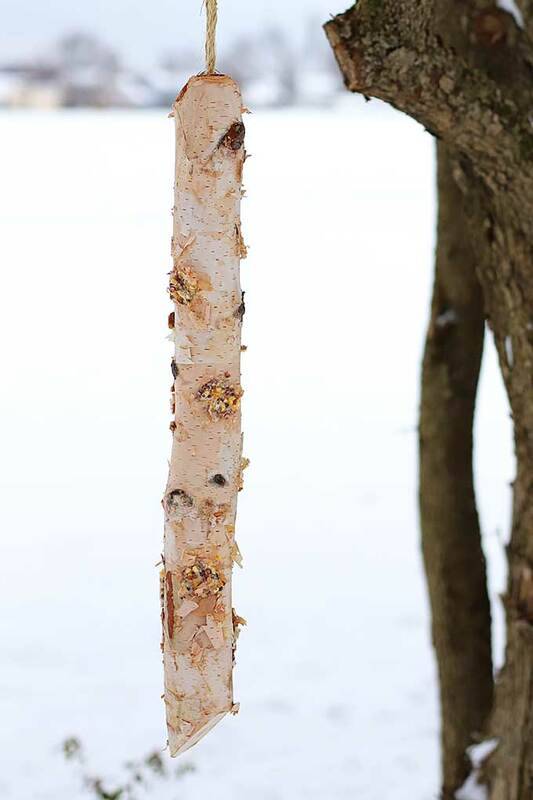 I took some birch poles that I found on after-Christmas clearance and cut them in half (I don’t know why they think birch poles are only for Christmas, but I was happy to find them for less than $1 a piece). 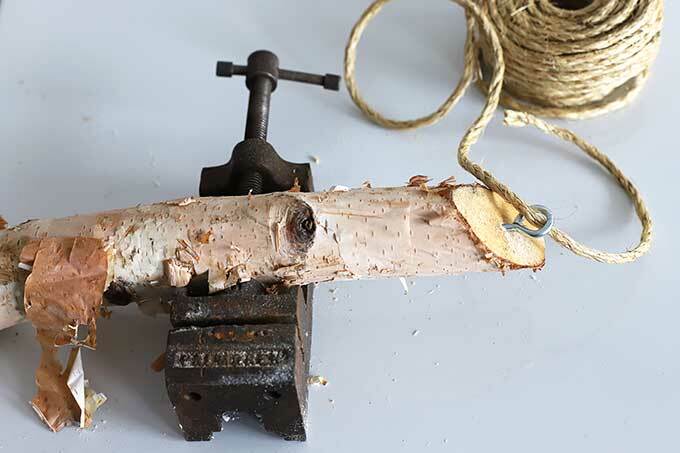 You can also use large branches from your yard or small pieces of firewood. 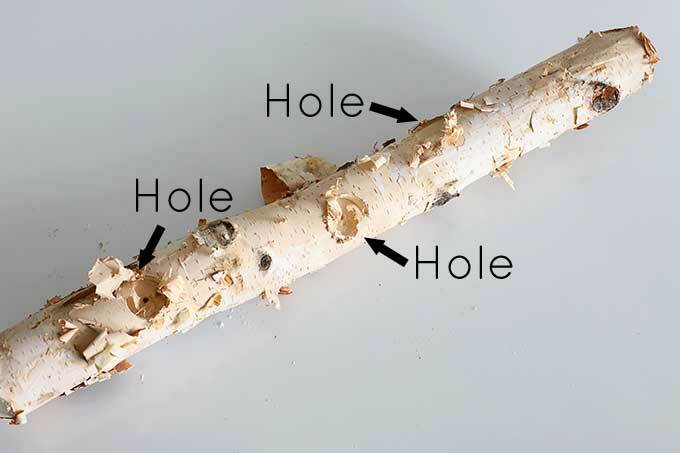 Drill holes in your log with your bits approximately 1″ deep. I drilled 6 holes spaced randomly on the log. 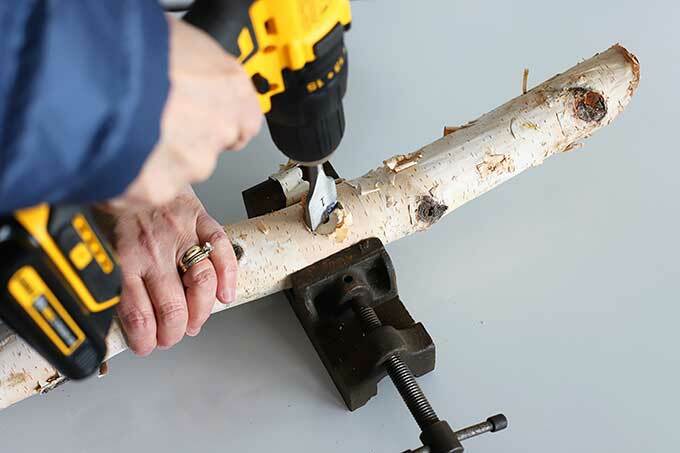 You can space them however you like, although try not to have two holes on opposite sides of the log in the exact same place (or you will basically be drilling straight through the log). In this photo you see 3 holes, but if you would rotate it you would see the other 3 holes. I went for a somewhat random look. Screw your eye hook into the top of the log. Drilling a small pilot hole first makes it screw in easily. If your suet cake is not soft to the touch, you can heat it up in the microwave for a few seconds. You do not want to melt it completely, so just soften it enough you can work with it. I “softened” mine for 15 seconds. 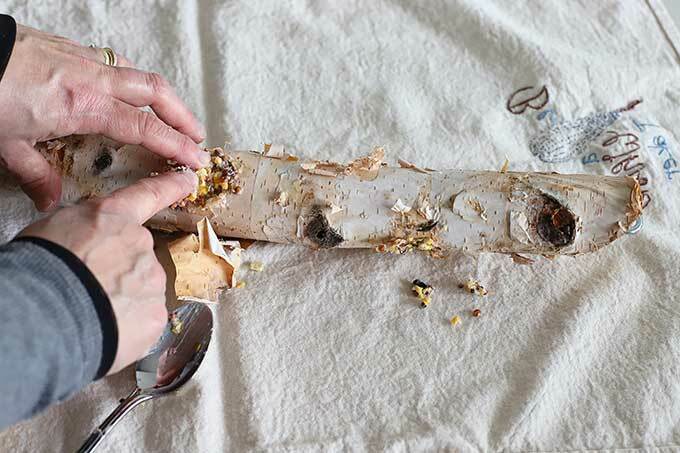 Take spoonfuls of the suet and pack it into the holes. This part can get a little messy, so lay down a towel or paper towels first to keep your tabletop clean. I tried to compact it as much as possible using a combination of the spoon and my fingers. This might also be a good part to say if you plan on using your fingers you might want to use gloves or a plastic bag to keep the greasiness off your fingers. Nothing soap and water can’t fix, but I did want to warn you that this stuff is sticky. 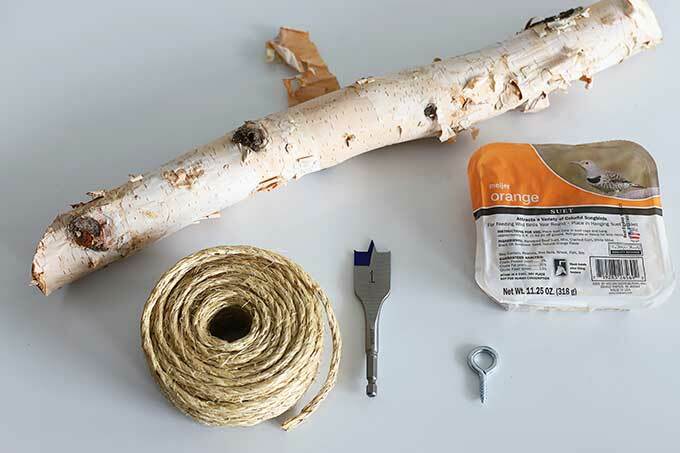 Run twine through the hook and attach it to a tree or pole in your yard. Enjoy watching your bird friends devour the treat you made for them. If you see Tippi and a huge flock of birds around town, I’d move the feeder inside for a few days! * Depending how hard your wood is (I soooo want to make a joke here) you might want to use the drill press and Forstner bits which make drilling into the wood a lot quicker, but I realize not everyone has a drill press and fancy Forstner bits just lying around the garage. 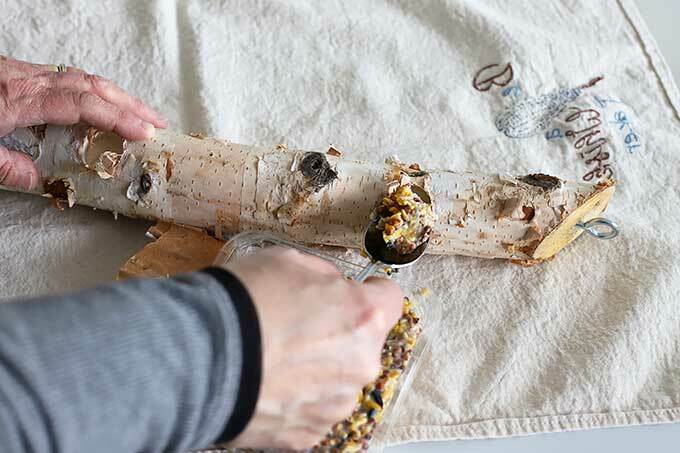 Instead of a store bought suet cake, you can mix peanut butter with bird seed to fill the holes. Just remember that some peanut butters contain a sweetener called Xylitol which can be toxic for dogs, so be careful around dogs. Here is a list of peanut butters that still contain Xylitol. Or I have a recipe for DIY Birdseed Suet Cakes HERE. It’s actually one of my most popular posts this time of year! Basically any bird that likes to eat by hanging onto the side of a log. I have not seen any of my cardinal friends using it, as they normally prefer a place to sit while they dine. They are pretty and fun to see flying around the yard, so they are allowed to be demanding divas like that. A few months ago I showed you how to keep squirrels away from your fall harvest decor on your porches with my Homemade Squirrel Repellent Spray. That spray would also work on your bird feeders. Just spray it on the log after you stuff it with the suet. 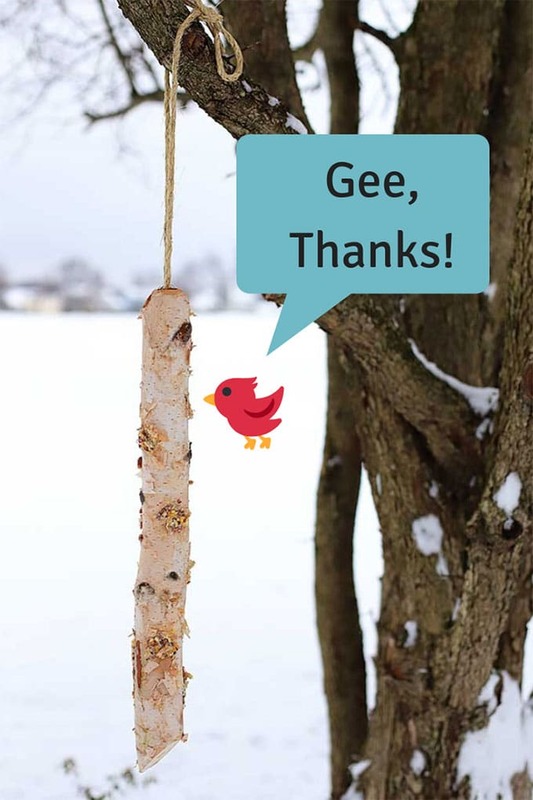 You can also buy hot peppered suet cakes on Amazon that would keep the squirrels away (which I have to say are a little expensive on Amazon, but might be worth the added cost to get them mailed to you?). Or your local specialty bird store or pet store would probably have them. In both cases, whether you spray with my squirrel repellent or buy it already mixed in the seeds, pepper is safe for birds. The squirrels and chipmunks do not like the taste of hot pepper, but it is not harmful to the birds nor can they even taste it. 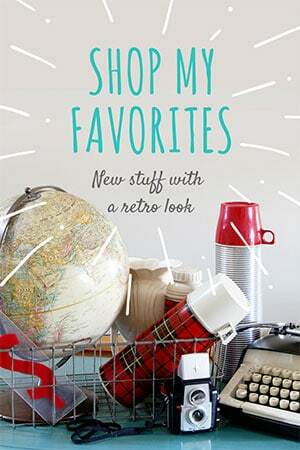 Love this idea, Pam! We need to make a couple! Great tutorial! Last summer we put out a big hanging feeder with some of our winter mix seed in it…broken seeds, etc for no mess. Well, I looked out at that thing one day and it was covered with flies! One of the grossest things I’ve seen. That feeder was dumped and not seen again until after hard frost. Birds are birds regardless of what type they are. I never discriminate. I feed those ugly scrawny ones too as I think everyone should do as well. I’ll have to look in my bird book to find out what kind they are, but they just east SO MUCH FOOD. And so fast 🙂 It gets tiring to refill the feeders! Making something out of nothing and it’s a great idea, as always. We actually have cardinals down here in Miami too…but they thrive on the tropical fruits and berries all around in the winter. I am laughing out loud!!! But seriously easy fun helpful idea! Great idea Pam! We also feed all birds, red and gray squirrels, and a pair of opossums are visiting at night. My experience with peppered suet cakes has been less than great. None of our critters eat it, especially the birds. 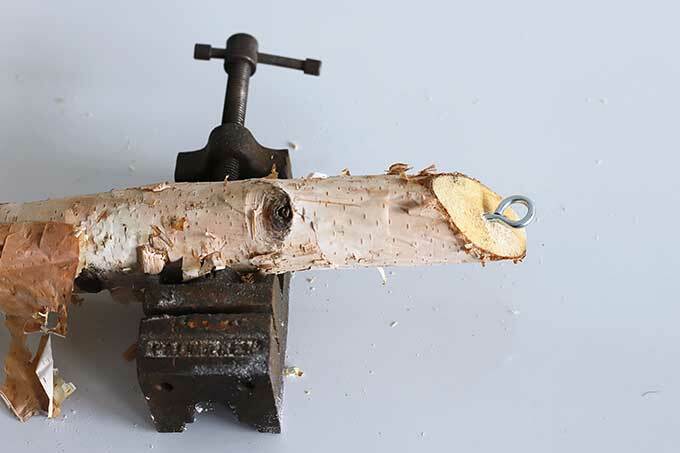 Many different types of woodpeckers visit, so I am going to show hubby your idea and encourage him to create a version with wood that falls from our trees during high winter winds and/or our woodpile. 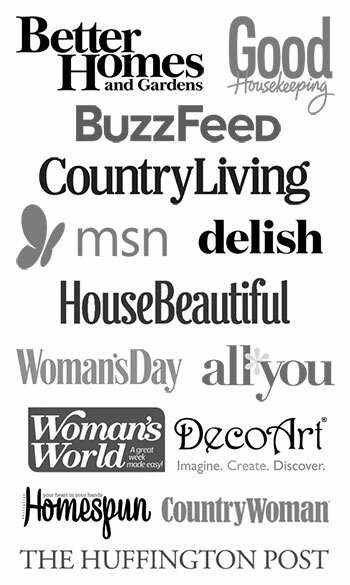 Can’t wait to add another attractive offering! 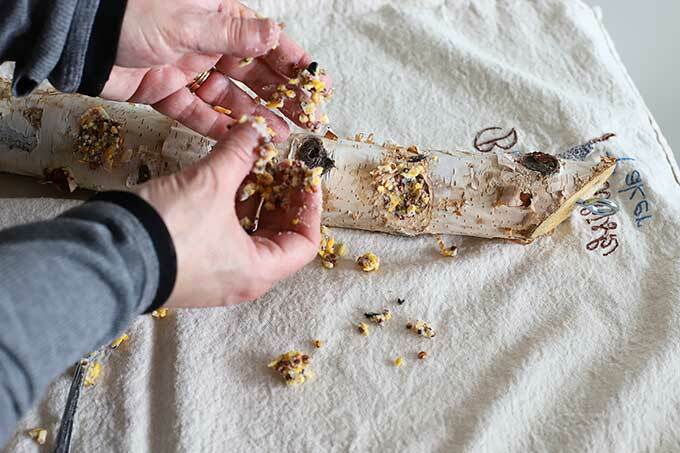 I love your log bird feeder idea. Here in Sarasota, FL only the numerous squirrels are eating from it. The birds are only attracted to the bird feeders we have in the front and back yard. The next tree branch that dislocates from our huge oak trees from the next storm will be put to good use.